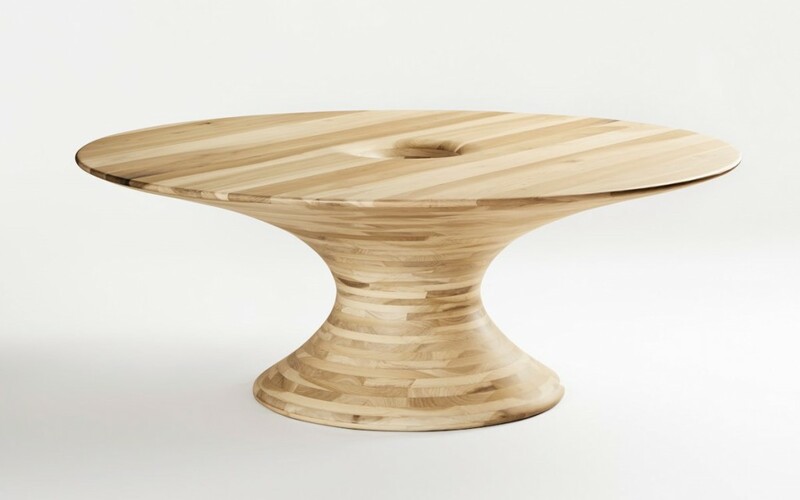 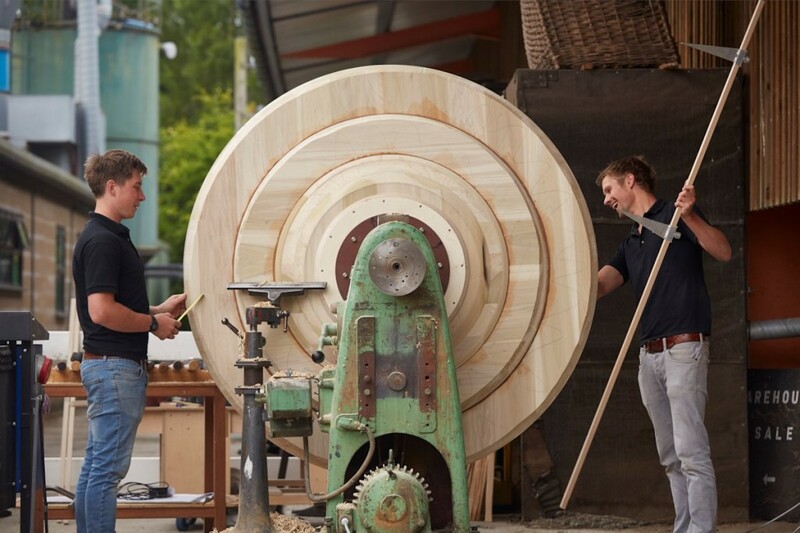 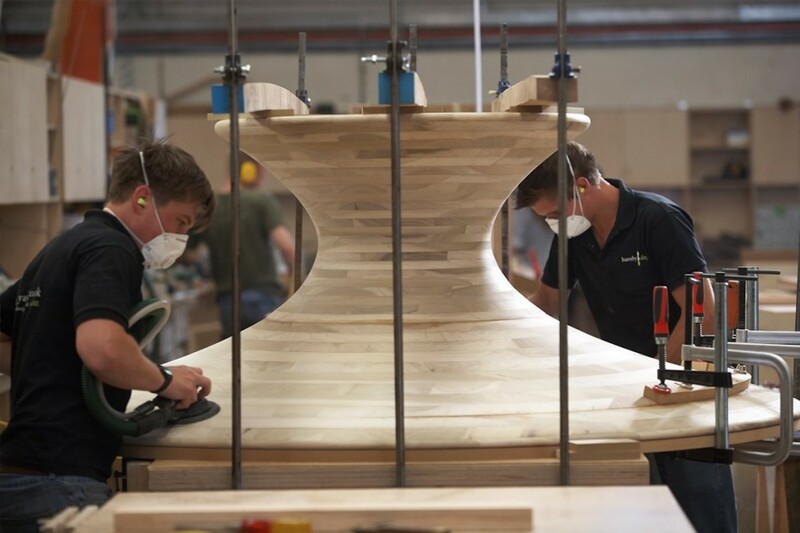 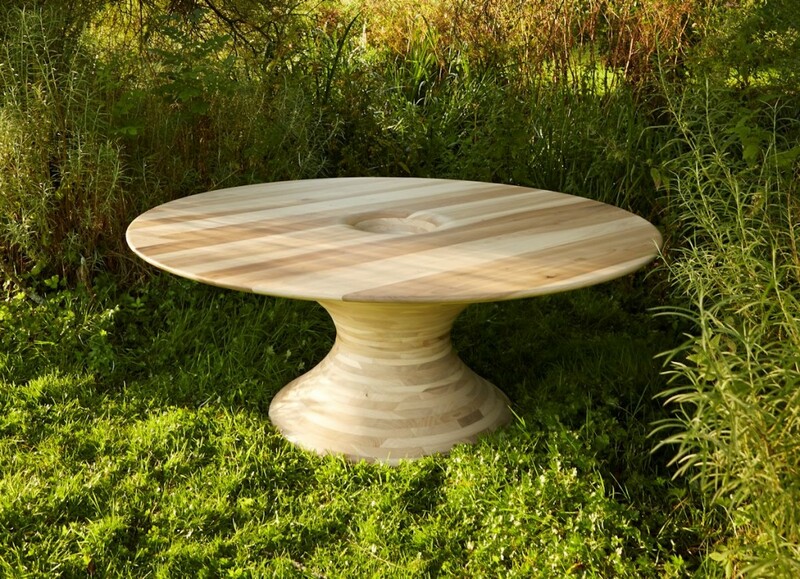 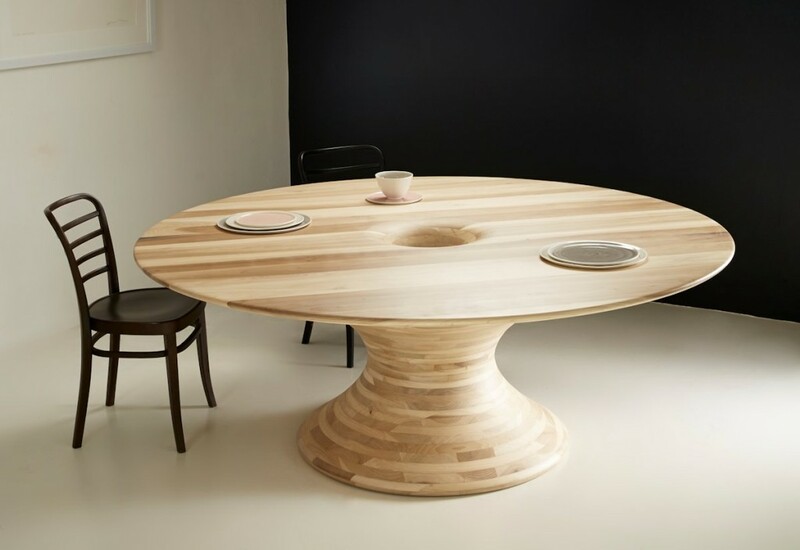 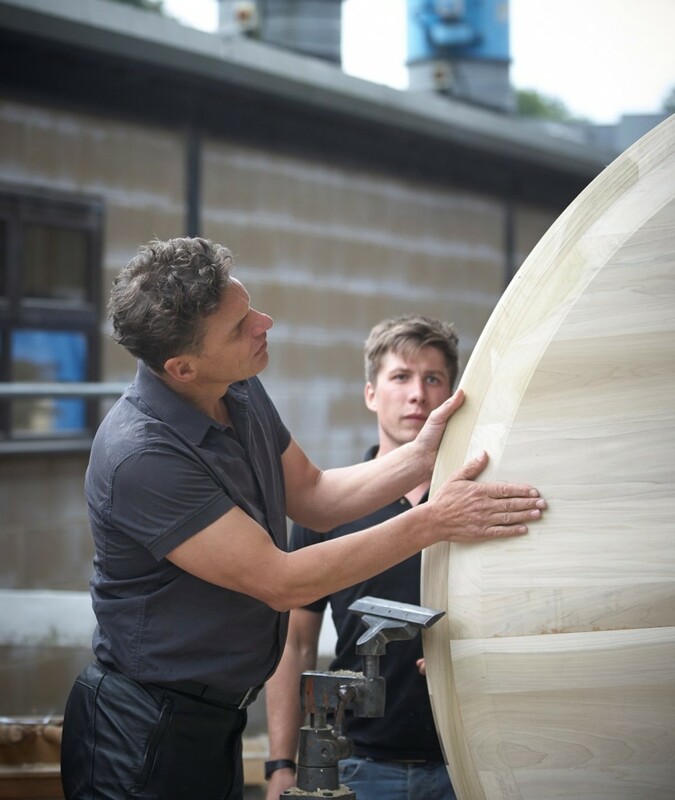 The Tulipwood Table has been created by furniture makers Barnby & Day for Alex de Rijke, the project was imitated American Hardwood Export Council and Benchmark Furniture. 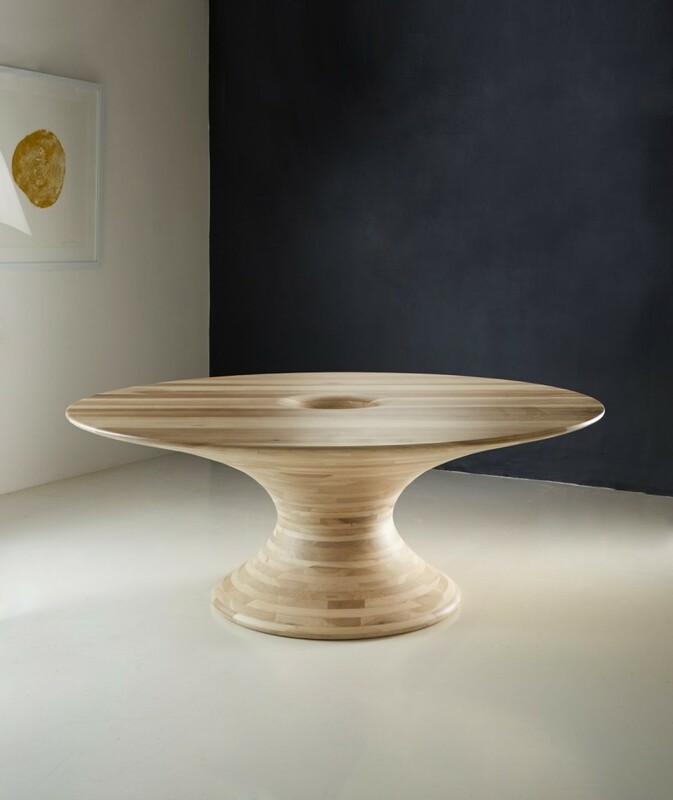 “The Wish List has not only engaged the interest of 10 design legends, who have commissioned something personal. 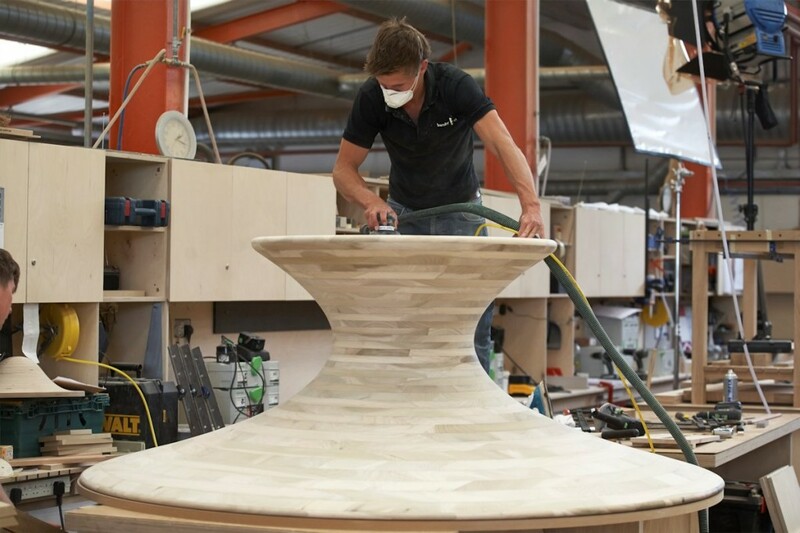 It is also giving an extraordinary opportunity to a group of emerging talented designers, who will not only develop the designs but actually come and make their pieces under the watchful eye and guidance of Benchmark’s master craftsmen, some of whom have 40 years’ experience to draw on! 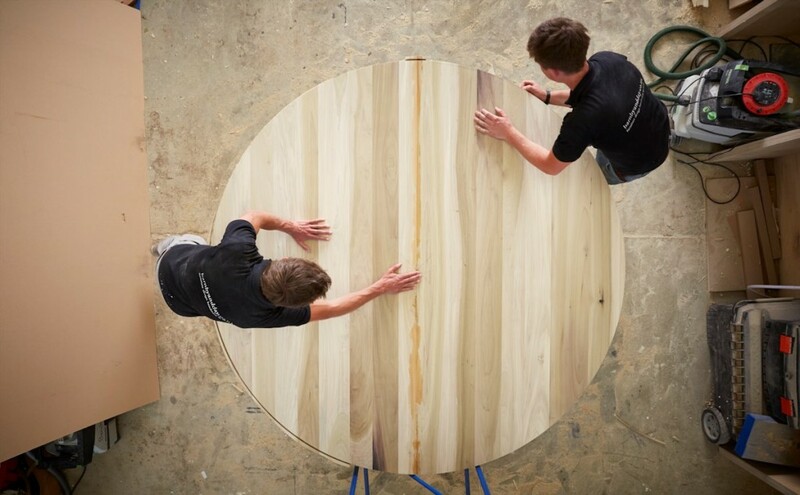 Collaborating with Sir Terence and Sean Sutcliffe from Benchmark were the American Hardwood Export Council (AHEC). 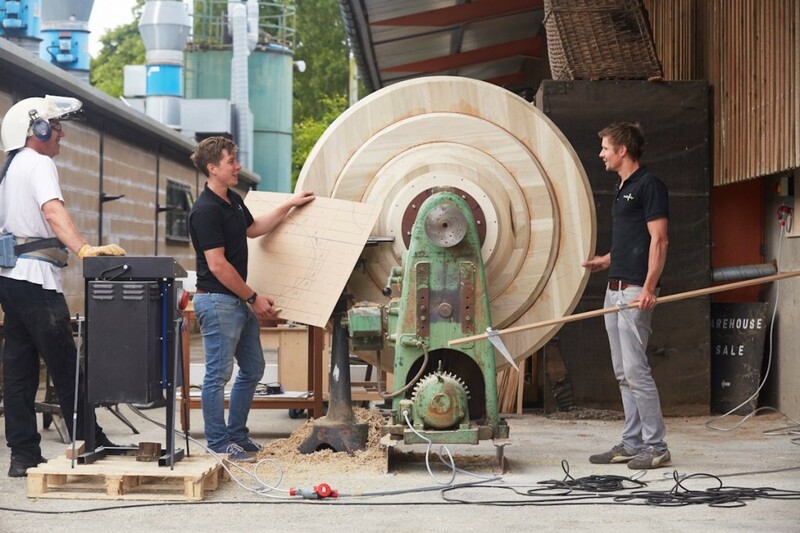 AHEC gave us a wide range of American hardwoods to work with. 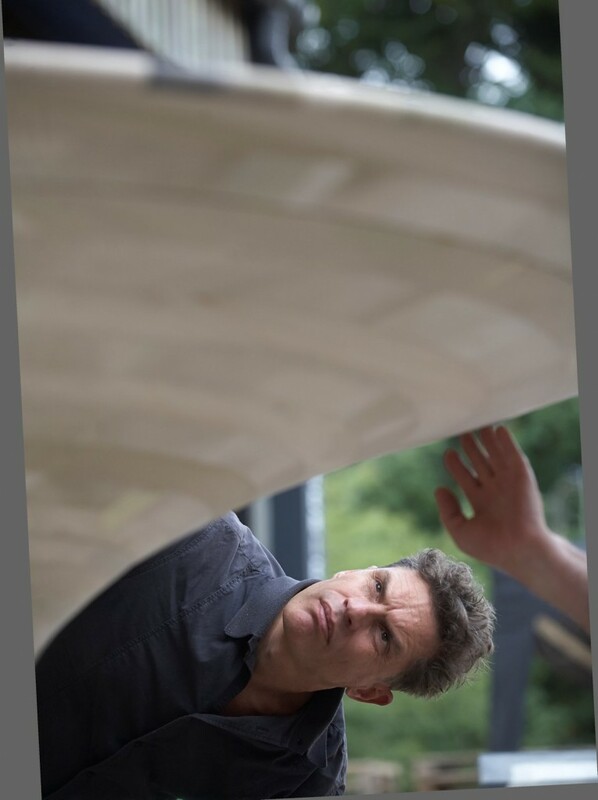 Ourselves and our commissioner Alex de Rijke (of dRMM Architects and dean of architecture at the RCA) chose tulip wood as it was a timber Alex had used before with huge success in his project the ‘Endless Stair’. 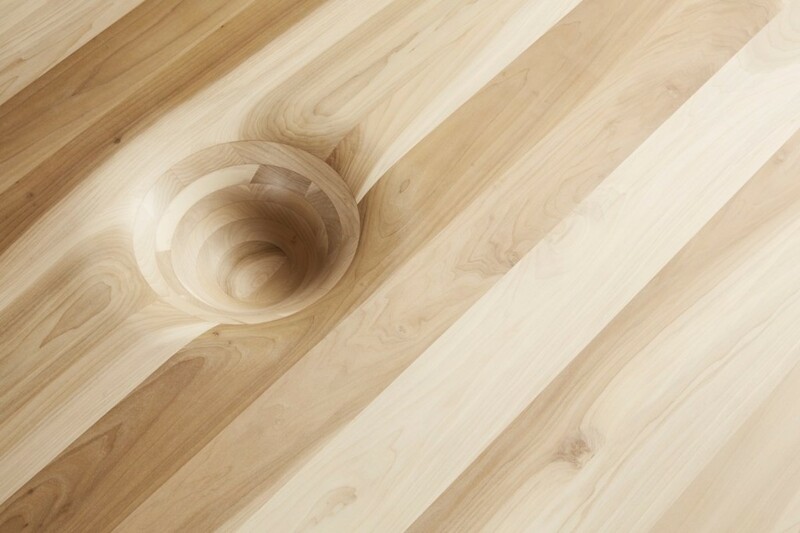 The project was exhibited outside The Tate Modern before being shown in Milan, and pioneered the technique of cross laminating timber (CLT). 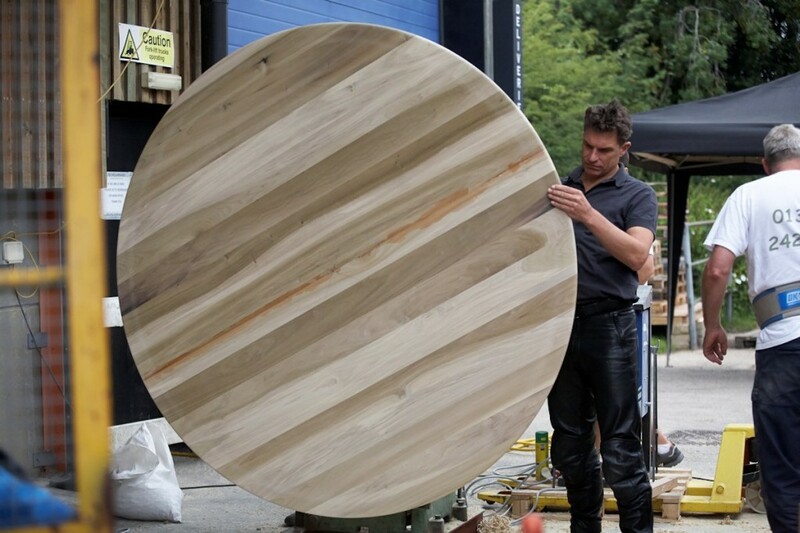 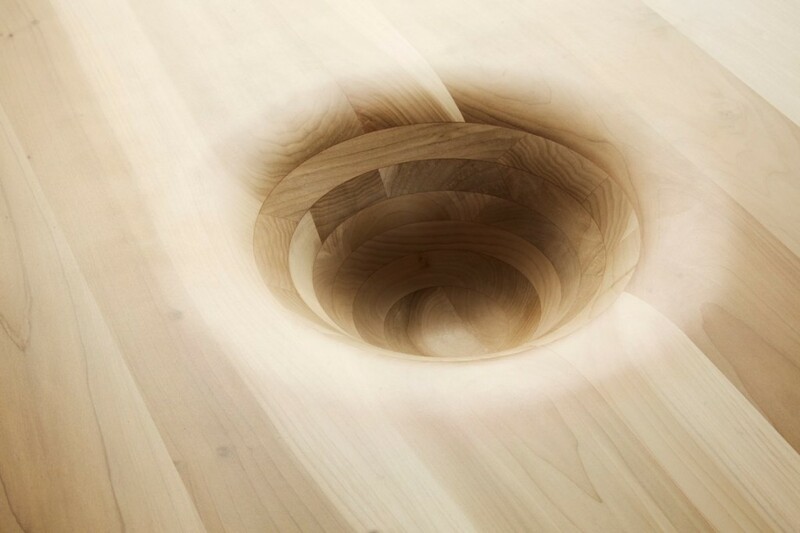 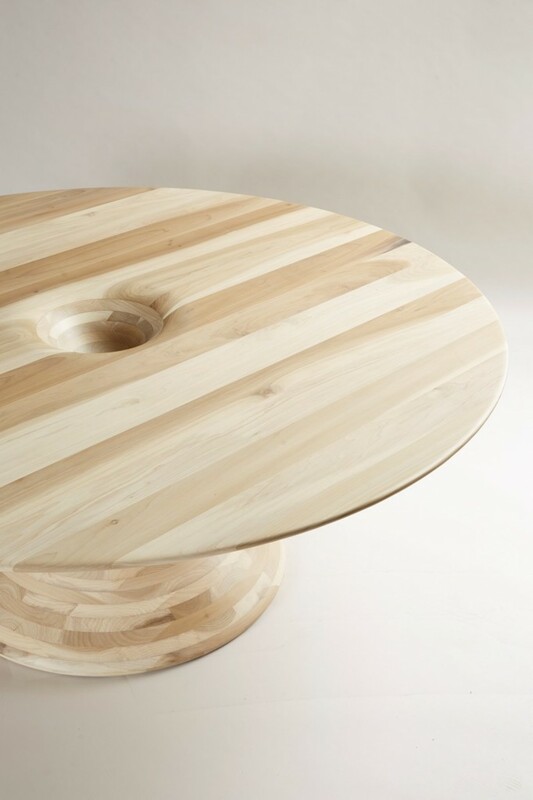 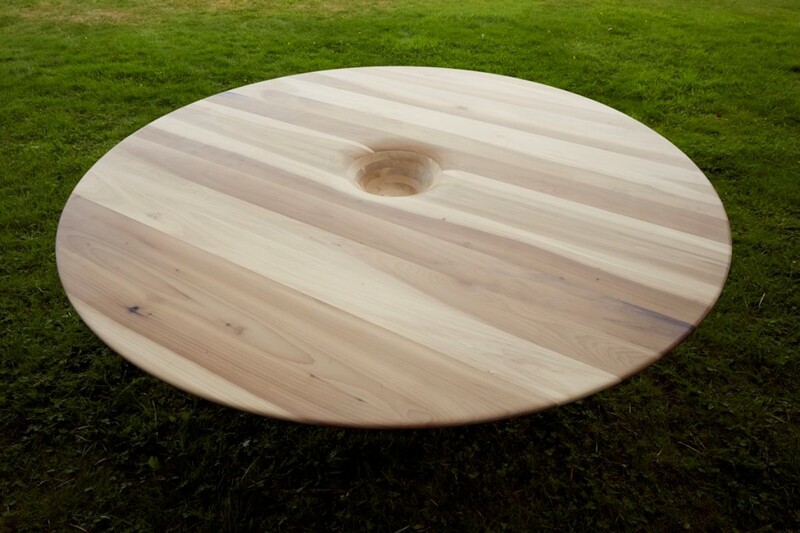 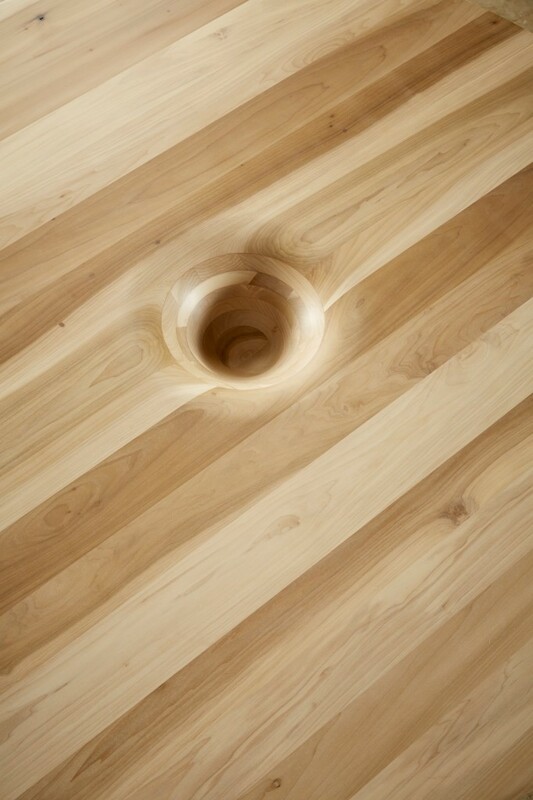 Alex wanted a large round sculptural dining table and liked the idea of trying to make it from CLT. 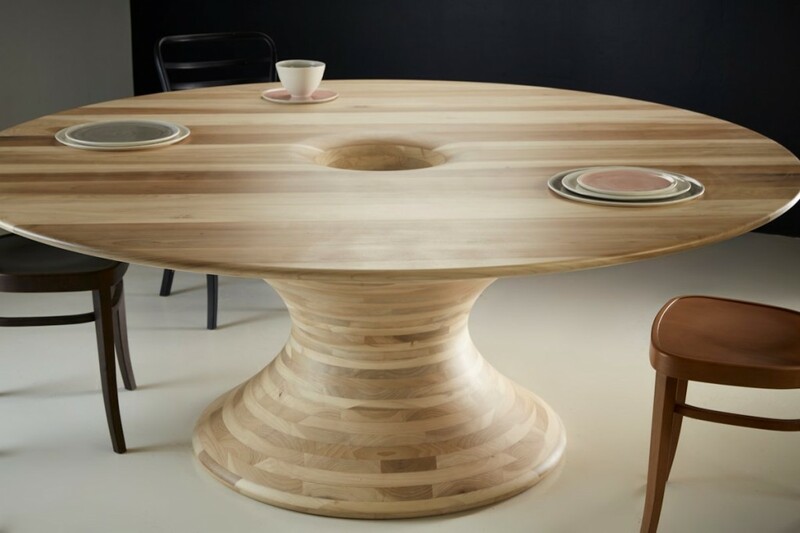 Alex believes a round table is more dramatic – and around it, ‘the best decisions are made, work is done, and drinks are drunk’.